Below is a list of potential state and local incentives available to new or expanding businesses in Kansas City, Missouri. If you have questions about these programs, please contact a member of the EDC’s business development team. We can help you navigate the programs and incentives available to your business. The BUILD program is an incentive designed to reduce necessary infrastructure and equipment expenses if a project can demonstrate a need for funding. An eligible business must invest a minimum of $10 million appropriate to the necessary industry sectors and create a minimum of 500 jobs. 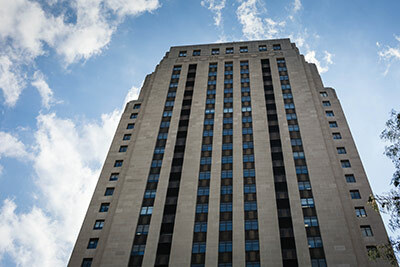 Chapter 100 bonds may be issued by the City of Kansas City, Missouri, to assist with the construction or rehabilitation of eligible commercial facilities or the acquisition of the equivalent. To affect property tax exemption, the City will take titular ownership of the business assets therefore providing property (real and personal) and/or sales tax exemption for up to 10 years. Chapter 353 Tax Abatement is an incentive created to encourage the redevelopment of blighted areas by providing real property tax abatement and may be available for qualifying projects. Designed to encourage job creation and investment, the Enhanced Enterprise Zone (EEZ) provides state tax credits and local property tax abatement to new or expanding businesses located within an Enhanced Enterprise Zone. Eligible businesses may receive a standard 50 percent property tax abatement for improvements made to real property for 10 years. A longer and deeper abatement requires a financial analysis and approval by the EEZ Board and City Council. The Land Clearance for Redevelopment Authority (LCRA) may issue a property tax abatement to assist in the removal of blight and blighting conditions within urban renewal areas. The State of Missouri provides state tax credits equal to 25 percent of eligible expenses for the rehabilitation of approved commercial and residential redevelopment of historic structures. The purpose of the Missouri Works program is to facilitate the creation of quality jobs by targeted business projects. Program benefits include the retention of the state withholding tax of the new jobs and/or state tax credits, which are refundable, transferable and/or saleable. Program benefits are based on a percentage of payroll of the new jobs. The Planned Industrial Expansion Authority (PIEA) provides incentives encouraging the investment and removal of blight and blighting conditions within PIEA Plan areas. The Missouri Department of Revenue will issue a state sales tax exemption to a manufacturing company for electrical energy, gas (natural, artificial or propane), water, coal, energy sources, chemicals, machinery equipment and materials. The EDC Revolving Loan Fund is an alternative for small businesses located within the city limits of Kansas City, Missouri, spending less than $500,000 for fixed assets. The typical finance structure is 10 percent equity, 50 percent from a commercial bank, and 40 percent (up to $200,000 outstanding per borrower) from the revolving loan fund. Federal New Market Tax Credits (NMTC) may be available to eligible businesses providing non-traditional financing for capital investments made by businesses and for the development of mixed-use, commercial, industrial and housing projects in destressed areas. The Industrial Development Authority (IDA) of Kansas City, Missouri facilitates financing of eligible business projects through the issuance of industrial development bonds (IDBs). The Small Business Administration’s 504 loan program provides financing assistance for small businesses making fixed asset investments, for projects ranging from $125,000 to over $12 million dollars, including land acquisition, construction, purchase of commercial real estate or machinery and equipment that creates or retains jobs. Tax Increment Financing (TIF) is a financing tool that allows future real property taxes and other taxes generated by new development to pay for the cost of construction for public infrastructure and other improvements. This tool is designed to encourage development of blighted, substandard and economically underutilized areas that would not be developed without public assistance. Kansas City Power and Light (KCP&L) offers a variety of energy-efficiency rebates and programs that align with your business’s needs and improve your bottom line. Spire has robust commercial and industrial prescriptive programs designed to manage your energy costs and minimize downtime. Visit here for information on import / export resources.